See how Nordea Bank optimizes database performance to support critical banking systems. Want to know what's next for Data Server Manager? See how a unified console for Db2-based offerings is evolving. Read how DBAs at Groupe France Mutuelle used IBM to gain fast and comprehensive insight into their database health. Learn how to set up Data Server Manager and manage your databases. Discover how a government research lab found new ways to boost HPC performance and availability. Read how DBAs can proactively prevent problems before they impact the business. 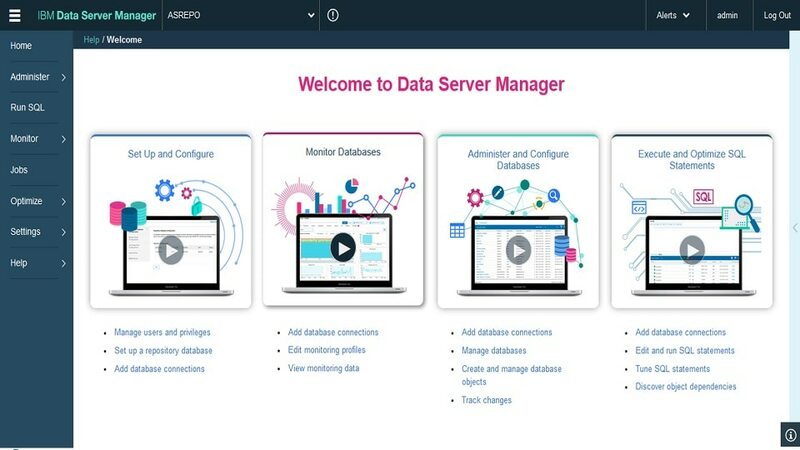 Read about the features of Data Server Manager.